Higher peaks and deeper valleys or heartbit ripple whatever you choose to see we’re sure you agree with us that this pattern is simply gorgeous. We love everything about the lovely Heartbeat Ripple by ByMimzan. 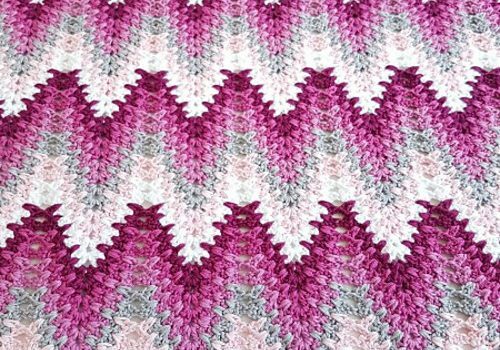 The colors are fabulous, the pattern can be easily customized to any size you wish with any yarn or hook size and then the name …the name is just lovely! 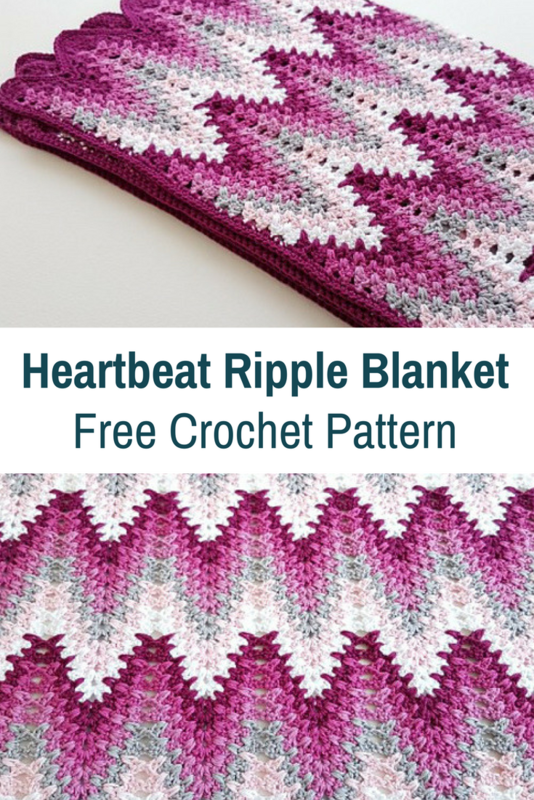 Head over to ByMimzan for the fabulous tutorial: Heartbeat Ripple Blanket. Thanks to ByMimzan for the article inspiration and featured image. OH I forgot to ask, can you please give me the colors you used?